Control took his time staring at the women, although their appearance told him little. They had all been given the same generic uniforms, vaguely army-issue but also vaguely janitorial. Their heads had all been shaved, as if they had suffered from some infestation, like lice, rather than something more inexplicable. Their faces all retained the same expression, or could be said not to retain any expression. Don’t think of them by their names, he’d told himself on the plane. Let them carry only the weight of their functions at first. Then fill in the rest. But Control had never been good at remaining aloof. He liked to burrow in, try to find a level where the details illuminated without overwhelming him. The surveyor had been found at her house, sitting in a chair on the back patio. The anthropologist had been found by her husband, knocking on the back door of his medical practice. The biologist had been found in an overgrown lot several blocks from her house, staring at a crumbling brick wall. Just like the members of the prior expedition, none of them had any recollection of how they had made their way back across the invisible border, out of Area X. None of them knew how they had evaded the blockades and fences and other impediments the military had thrown up around the border. None of them knew what had happened to the fourth member of their expedition — the psychologist, who had, in fact, also been the director of the Southern Reach and overridden all objections to lead them, incognito. None of them seemed to have much recollection of anything at all. 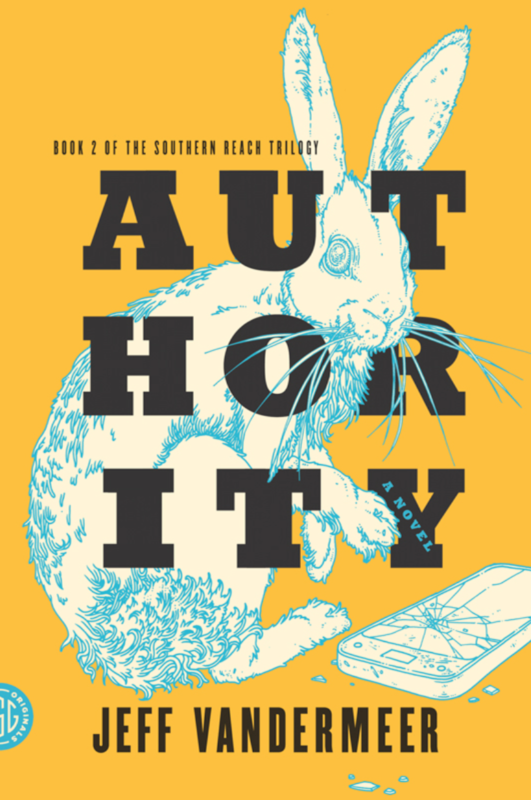 Rodriguez’s brief — delivered to him by telephone from someone he knows only as the Voice — is to figure out just what has been and is going on at Southern Reach and in Area X. His mission is thwarted not just by the incomplete memories of those who have made the journey into the quarantined zone but by bureaucratic obstacles. Some of them are intentionally thrown up by the assistant director, Grace Stevenson; others arise because of missteps made by Rodriguez and his ostensible allies, including the Voice and Rodriguez’s own mother, Jackie Severance, an accomplished former agent; and still others seem to emerge as accidental byproducts of normal government operations. Over the course of about eight days, Rodriguez attempts to cut through strands of deception while trying to gain clarity about the nature of Area X. Although many characters in the story have roots in or around the strange zone, which may be under the thrall of an alien power, their returns to old stomping grounds shed little light on the zone’s secrets. Rodriguez discovers that the director — Cynthia, whose surname is never revealed — had, among other anomalous behavior, scrawled a feverish screed and assembled a strange collage on a concealed section of her office wall. (These words, the reader knows, replicate the living sentence growing on the walls of the subterranean staircase explored in Annihilation.) He also finds that the supposedly locked, empty residence of a missing agency employee may not be so secure, and that a different longtime employee may be living in the Southern Reach’s dreary headquarters. Readers expecting to learn anything concrete about Area X will find themselves disappointed by Authority, which hints at disturbing, otherworldly happenings but explains nothing. But VanderMeer is engaged not in accounting for the inexplicable but in exploring how humans approach incomprehensible phenomena. His characters variously distract themselves by fighting frivolous skirmishes, erecting meaningless defenses or succumbing to madness. Some appear to be attempting actively to bring on doom, if only because it will excuse them from fretting over the eternal enigma that is Area X.
I found myself enjoying Authority more than its predecessor, in part because I didn’t have a movie to compare it to. VanderMeer masterfully builds an atmosphere of dread; in that way, his work bears some resemblance to the oeuvre of H.P. Lovecraft. While it’s true that much of Authority feels like the setup for a separate volume, I was aware coming in that the book is part of a trilogy, after all. This entry was posted on	March 4, 2019 at 9:55 am	and is filed under Books.